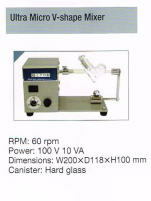 High speed fluidizing mixer <SUPER MIXER > - KAWATA MFG. Plastic bag holding mixer <SUPER FLOATER > - KAWATA MFG. Pharmaceuticals/Supplements, powder/liquid & granulation, food (additives, soup ingredients, powder drink, powder coloring, shortening), etc. (3) Surface treatment is also possible.